A few kilometers away from the busy Barcelona stands one of the most impressive mountains of Catalonia. The tour begins at 8:15 AM. 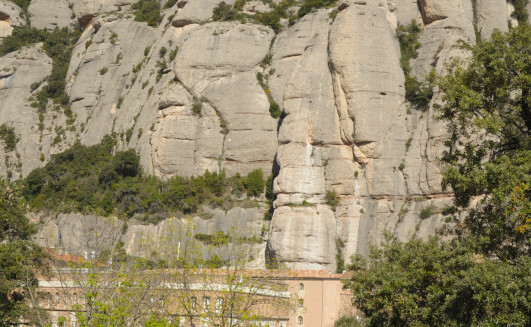 Just a few kilometers away driving to the north in a air-conditioned and comfortable vehicle (in about 1 hour) you will be in the sacred monastery of Montserrat surrounded by a majestic rocky landscape that will leave you spechless. Would you like a private tour? Would you prefer a tailor made tour? Please, write us with your interest and enquiry and will get back to you with an interesting proposal! We had a nice tour of the monastery. The ride up was amazing and then we went on a hike . We were served cheese and honey from the local market which was a great treat and sat there for a while enjoying the view. Our guide Albert, made it a personal experience. He explained things with passion and knowledge and were learned much about the monastery and the monks. We loved the monastery and the park- so beautiful! 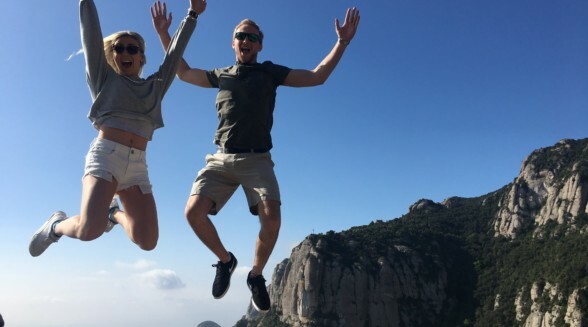 Loved this Montserrat tour. LivingIT has class and they pay particular attention to stellar customer service and cater to the customer. Let me explain. My wife and I signed up for this tour many months in advance. I was concerned that I wouldn’t be able to find the tour office on a Sunday, early morning. So I asked for hotel pickup/drop-off service. They told me to call again a few days prior to the tour dates. I emailed about 2 weeks prior and received a quick response and kind response that the driver will be there at 8:15 am. At 8:15 am the day of the trip, a Honda showed up with the name of tour on the side of the Honda. We got in and I immediately noticed that we were driving away from where I had mapped the tour office. I asked where we were going. 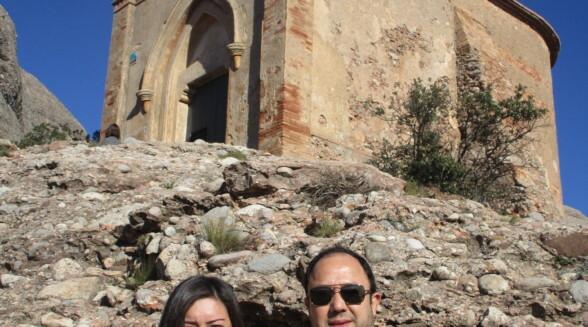 He said to Montserrat and that we were the only people signed up for this tour. We now had a private tour. The guide was excellent and very friendly. He gave us a very personal tour and explained everything to use. He went out of his way to let us try a couple of Spanish dishes, one that looked like cottage cheese (and honey) but far better and another a sweet port that was poured into a strange looking bottle with sprout. He said that it was traditional to hold the sprout high above the mouth and let it pour in. This was amazing and messy. We loved the care he took. What was best of all is that LivingIT did not cancel our trip given only two people signed up. They could have easily done that. So they sent one of their best guides to go with us for most of the day. That is style and stellar customer service. I highly recommend LivingIT and we will always choose them in the future. 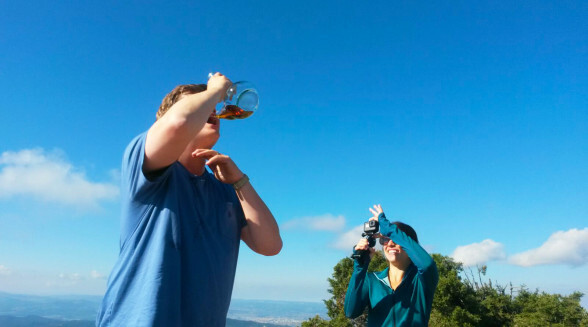 This was one of the highlights of our Barcelona trip. 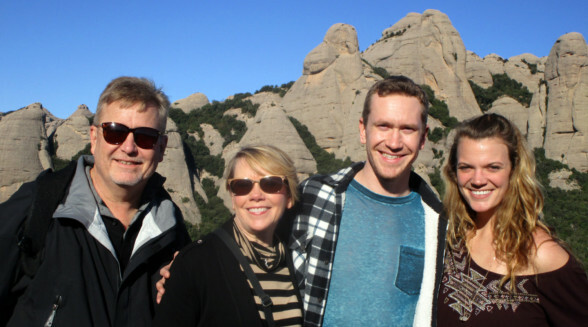 The trip to Montserrat was only outstanding because of our wonderful quide, Borja. He is everything you want in a guide; knowledgeable, courteous, helpful and just a nice person. We got to Montserrat early and this was a wise decision as the line starts early and gets quite long. We saw the Virgin statue first, climbed the trail to the cross, the went inside the church to hear the amazing boys choir. You must stop and buy from the local vendors. 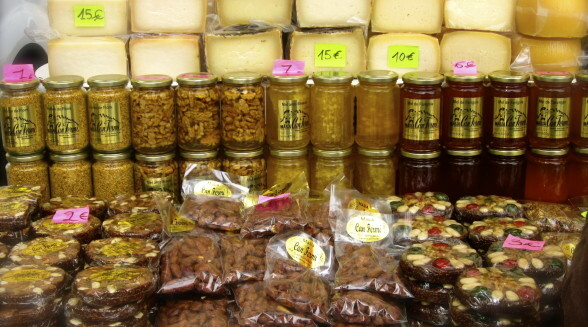 The honey and figs were so delicious. This is a must do stop and it’s only 40 minutes outside Barcelona. Thank you VELTRA and Borja for. Memorable time. We had multiple guides and tours during our 3 weeks in the Mediterranean. 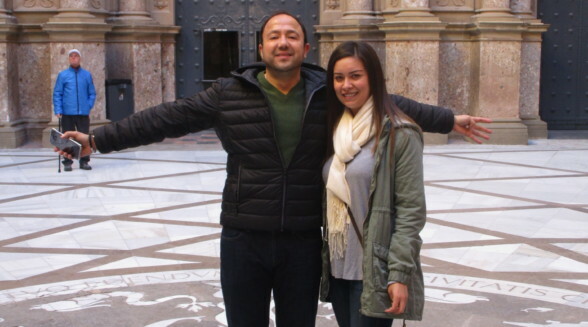 This was by far our favorite tour and guide!! We loved seeing Montserrat and our walk in that beautiful setting!! Joan our guide was outstanding!! He speaks English very well and was very easy to understand! He was so accommodating and went way above and beyond in adapting the “schedule.” He gave us multiple options of what we could do and see. He was extremely helpful and accommodating of my 80 year old Mom. Joan wasn’t “bound” by a schedule. We ended up with a 7 hour tour (because we were slow) and yet he didn’t rush us or act bothered by our lateness. He was so kind!! He was extremely informative and so knowledgeable!! We saw the Cathedral, visited the black Madonna, rode the fundicular and went for a walk, stopped for coffee, listened to the boys choir, and tasted the local cheeses. We were picked up and dropped off at our hotel. This was a personal/private tour. Hola.. Gracias por las fotos.. Me gustó mucho el tour, y muy bonita la iniciativa del refrigerio!! Ambas guias muy amables!! Saludos y una abrazo grande!! Montserrat is spectacular. It was a wonderful experience. Our guide Borja was great. He shared a lot of information and went out of his way to send us recommendations on some restaurants and photographs. Thank you Borja and LIVING IT for this enjoyable tour. 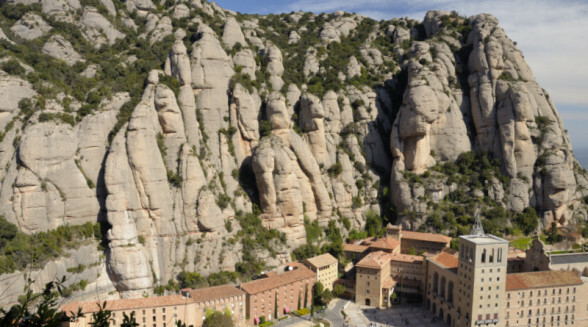 The Montserrat Monastery and Natural Park Tour must be in your bucket list once you visit Barcelona. The church, the mountain, the view, & the people, all worth everything. I’m grateful to Borja, our assigned tour guide from LivingIt, who was very kind, helpful and accommodating to us. I was not expecting that it would be like a private tour. 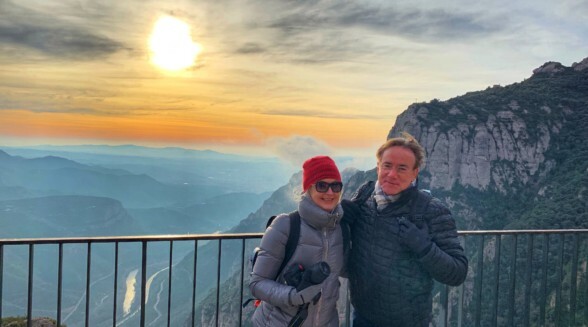 Borja was like a new found friend in Barcelona who gave us a lot of information, not only about Montserrat, but an overview of the history of Barcelona. Thank you Borja and thank you LivingIt. May you continue inspiring tourists who visit your country because aside from the tour itself, what matter most is the experience beyond the tour. Fantastic view, great tour guide!! 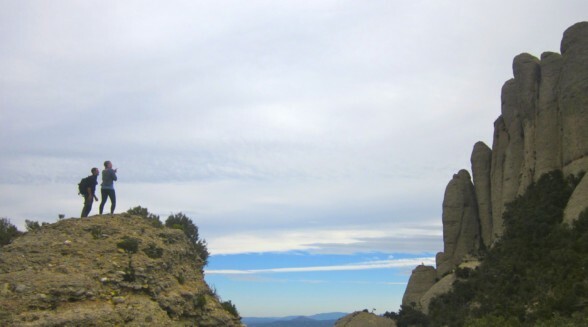 Montserrat has breathtaking view. The tour guide Barbara was very friendly. 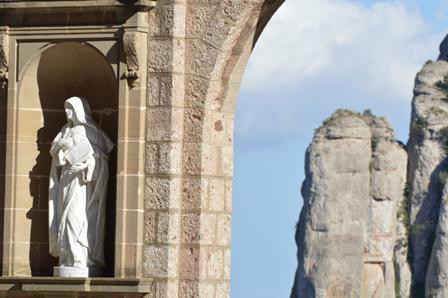 Contratamos al equipo de Living It para conocer el monasterio de Montserrat y no podría haber sido una experiencia mejor. Barbara y su equipo lo hicieron todo para hacer de nuestra experiencia lo más completa y agradable posible. Hicimos el paseo el día de Reyes (06/01/2017) que es una fecha muy estimada por el pueblo español. El personal era muy amable y servicial. 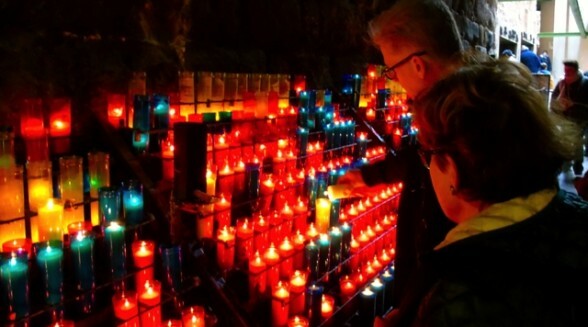 Además de disfrutar del paseo al monasterio que es imperdible para quien está en Barcelona, aprendemos mucho sobre las costumbres y tradiciones de esta fiesta. Lo recomiendo muchísimo. By the way, thank you Barbara for inviting us and letting us taste “the mató”. Just delicious!